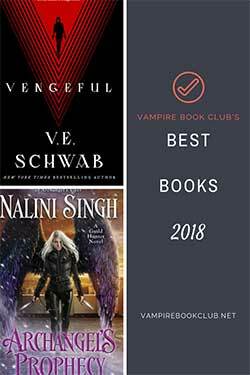 Note: While this review contains no spoilers for MacRieve, it does reference events from previous Immortals After Dark novels. The bad thing about finishing a new Immortals After Dark book is that you know it will be a year before you get the next one. 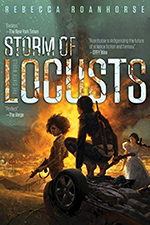 And my fellow IAD fans, you need to be aware that Kresley Cole kicks the literary stool out from under your literary arse before she concludes this latest installment. I am tempted to say that this could possibly be the most inherently evil way to leave us hanging for a year that I have ever seen. The Lycans are the hottest guys on the page in the IAD series. The MacReive family represent the Lycans. Uilleam and Monro, twins, are leaders of a branch of Lycans in Nova Scotia. Dubbed hot and hotter by other members of the Lore, the twins are thicker than thieves. MacReive is Uilleam’s story and you, dear readers, need to buckle up for one hell of a ride. Chloe Todd is a professional women’s soccer player on the cusp of the next level of stardom, a spot on the U.S. Women’s Olympic Soccer Team. Her appetite has been dwindling and when she tries to talk to her father about symptoms, he hands her the Book of the Lore and beats feet. Uilleam and Munro happen about an auction, where the daughter of the leader of the Order (the group responsible for the island immortal torture chamber) would be auctioned off. Uilleam’s senses immediately ratchet up and he knows that his mate is at the auction. Of course, it’s Chloe, daughter of the man who sanctioned unimaginable torture of many Loreans, Uilleam included. MacReive had a lot to live up to. Lothaire, the last IAD book, was phenomenal. It was one of those books that sets up an entire series for legendary status. This left the Enemy of Old’s follower in a precarious place. Be awesome. Be impossible to put down. Be worthy of the IAD label. If anybody loves a challenge, it’s a Lycan. Uilleam delivered. The IAD heroes are notorious for being jerks. Bowen threw Mariketa into a cave, which was then sealed off. Lachlain rages on Emma because of her vampire genetics. Cade sells Holly, even though he knew she was his. Lothaire was horrific to Elizabeth. And Uilleam does not differ. Dubbed Head Case from the younger Lycans living with Uilleam and Munro, he has not gotten over the nightmarish way that his parents died. Now he lives with the memories of his time on the island. Stuck for an Immortal lifetime with the daughter of his torturer, he lives up to his IAD predecessors and is alternately disgusted/intrigued by his mate. So why do you want to read about heroes who are categorically asses? Because once they realize the level of their stupidity, they will move heaven and Earth to make things better and prove themselves to their mates. It usually comes in a last minute, I’m almost too late scenario and that works. Like the old saying, the strongest steel is forged by fire and these Loreans are forged by the love for their mates, just when they come the closest to losing them. It is no different here. The reason it works so well is Cole’s writing. You’re rooting for these guys at 2 a.m. sitting up in your bed with a small booklight attached to MacReive, not able to sleep because you want to find out what happens. Cole is just that good and by default, so is Uilleam MacReive. Amber, that is HUGE! Thank you so much! For the record, I have been recommending PNR for, oh, maybe four years now and NO ONE has ever not liked IAD. Have fun! Garreth Macrieve will forever be my favorite in this series, simply because he found his mate and fought tooth and nail to prove his love for her regardless of what the silly girl said. There was no being an idiot and waiting til the last minute stuff, he saw what he wanted and went after it… mercilessly! I’m female, therefore all of Cole’s men intrigue me on a basic level, but I was just wanting to read Melanthe and Thronos’ story up until I read this review. I’m sucked into the IAD void once again! Excuse me while I go buy ANOTHER book, lol. See you in a day or two, world! Seanna, I too am jonesing for Melanthe and Thronos but Uilleam and Chloe are SO WORTH IT! Have fun with them! What happens to Munro and Kereny? Is this book available where Macrieve leaves off? Or, do we have to wait a year for this continuation story? This is my first book I have read by Ms. Cole. I love this book, but was disappointed the by way the book ended that indicates a continuation. I do not think I would have started to read if I knew the other series to these family characters were not available. I guess this what is meant as series. Please answer my earlier questions. Looking forward to your reply. Thanks! You’re right – they tie into each other so well. Kresley weaves storyline line a boss. I loved the IAD books so much that I’ve read all 13 of them twice. I’ve also enjoyed reading the Gena Showalter books “The Lords of the Underworld”. The characters Nix and Carrow are both mentioned in one of the books. The Underworld books are very good to if anyone hasn’t read them yet. I can’t wait until Kresley Cole and Gena Showalter comes out with their new books. I think a book about Nix would be a good one; her character is hilarious. 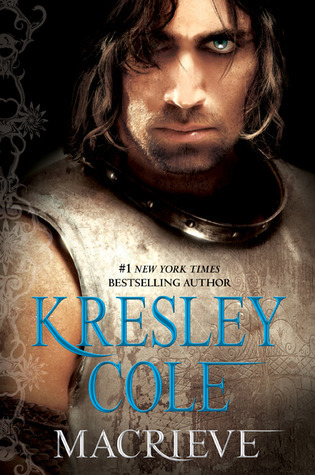 Janie, I had the opportunity to meet Kresley Cole at RWA in Orlando and I asked about a book for Nix. Kresley said that Nix’s book would be the last one. So, because I think that IAD is going strong, I hope we don’t get that one for a while. When are we going to get Munros story? I am in need of a new book.